was held in Crowne Plaza hotel in Belgrade. During the formal part of the program, Mike de la Rosa, USAID Mission Director in Serbia, Bojan Stević, State Secretary of the Ministry of State Administration and Local Self-Government, Ambassadors of the United Kingdom, Sweden, Netherlands and representatives of numerous partner organizations and institutions addressed the attendees. Neven Marinović, director of the Smart Kolektiv and Executive Director of the Responsible Business Forum, presented the research on the state of CSR in SMEs. On this occasion, the awards for contributing to the development of socially responsible business were handed to the companies, while the event was attended by the first president of the Forum, Gustavo Navarro. Through this event, thanks to the members of the Forum, a support was provided to social enterprises by purchasing their products for gifts to participants, while two social enterprises – NGO Atina and SE Hands from Pančevo received support in the amount of 100.000,00 RSD each. The event was organized within the Framework for Giving project, funded by USAID, and implemented by the Coalition for Giving, led by the Ana and Vlade Divac Foundation. 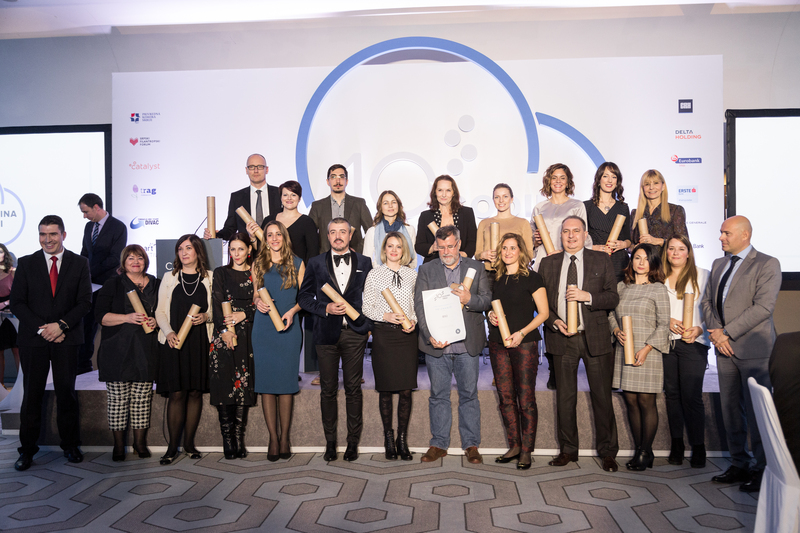 Other Coalition members are the Trag Foundation, Catalyst Balkans, Smart Kolektiv, the Serbian Philanthropy Forum, the Responsible Business Forum and the Serbian Chamber of Commerce and Industry.